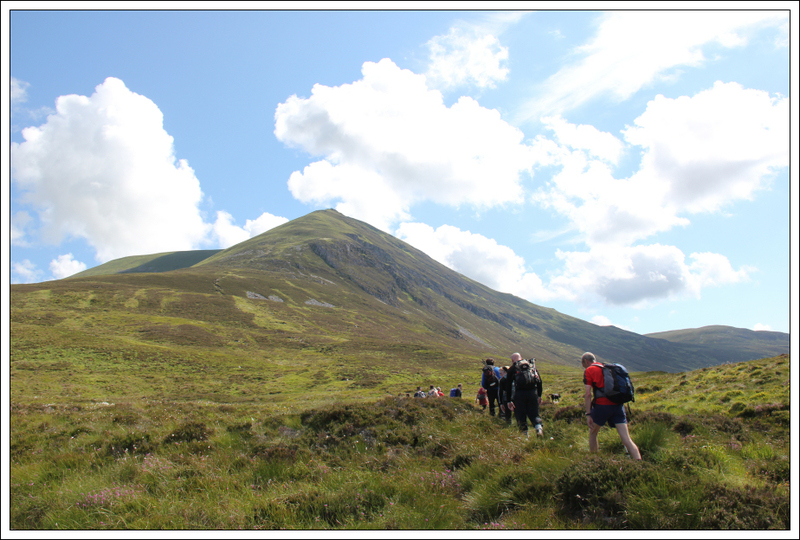 I set out yesterday morning, together with circa forty friends and family of Ron, to ascend Ben Wyvis – Ron’s final Munro. 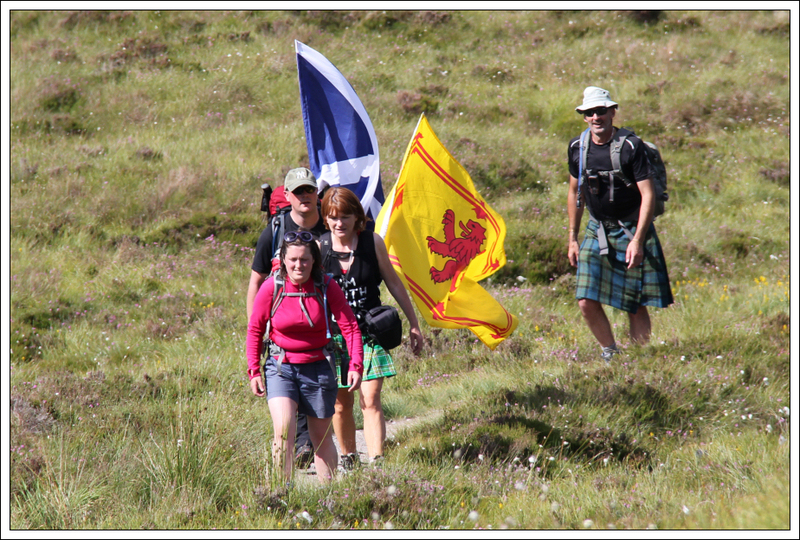 A large number of the party are users of the site Walk Highlands. 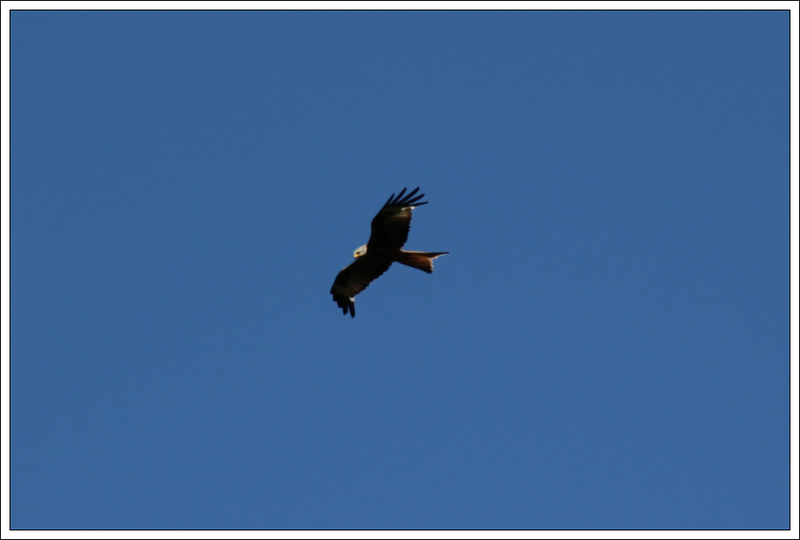 While standing in the car park, having a pre-walk chat, we were fortunate to see a Red Kite circling overhead. 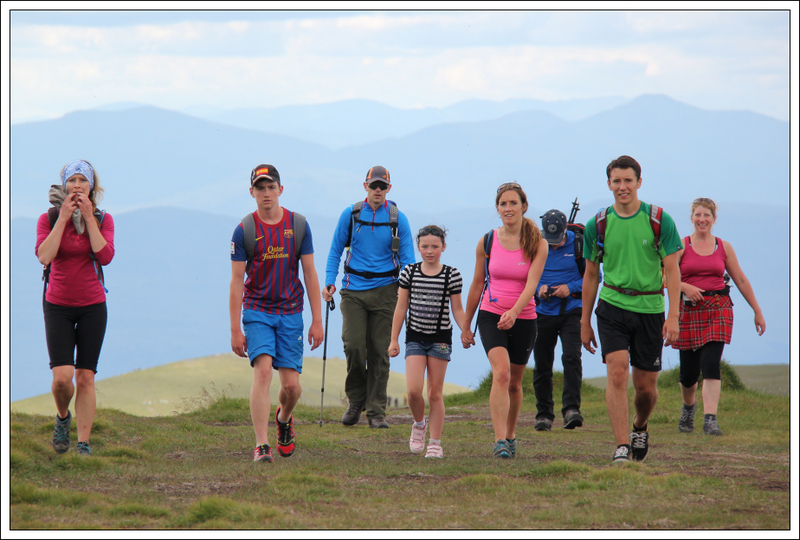 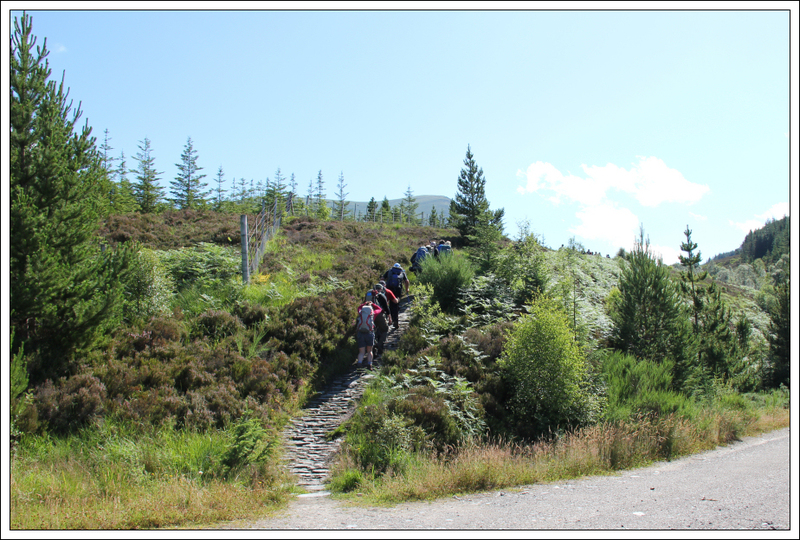 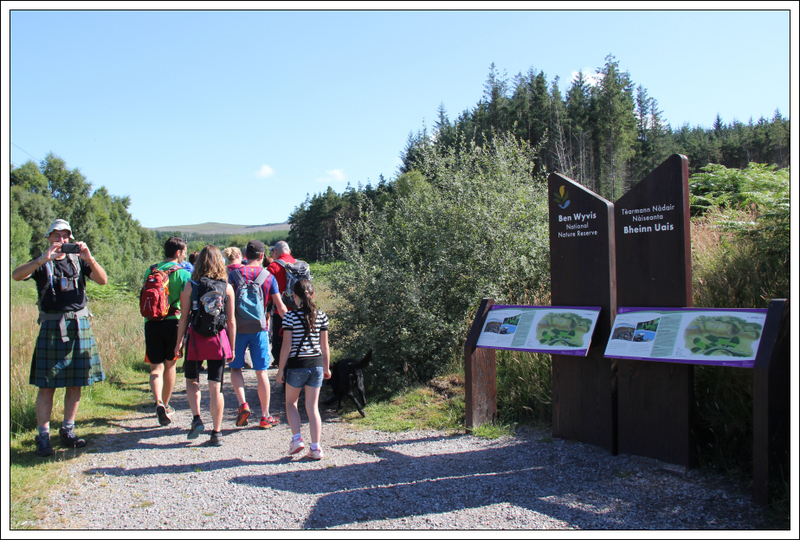 Once everyone arrived, we set off to ascend Ben Wyvis via the standard route. 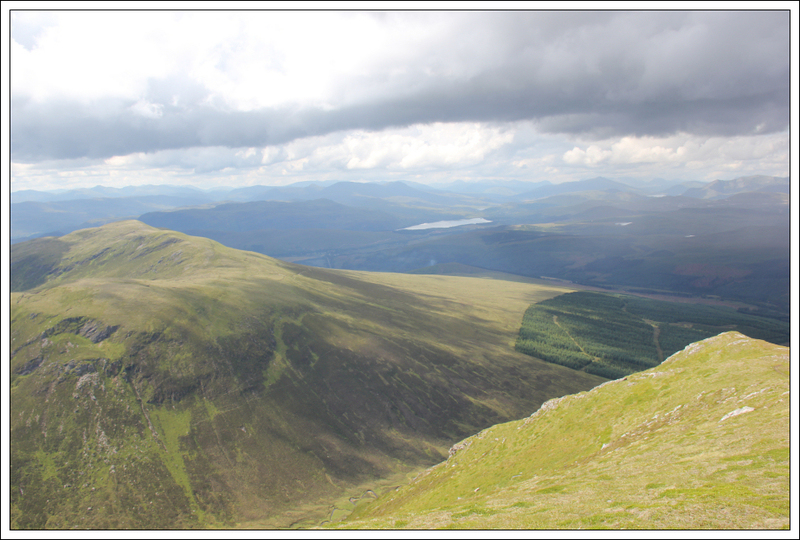 This was my third ascent of Ben Wyvis. 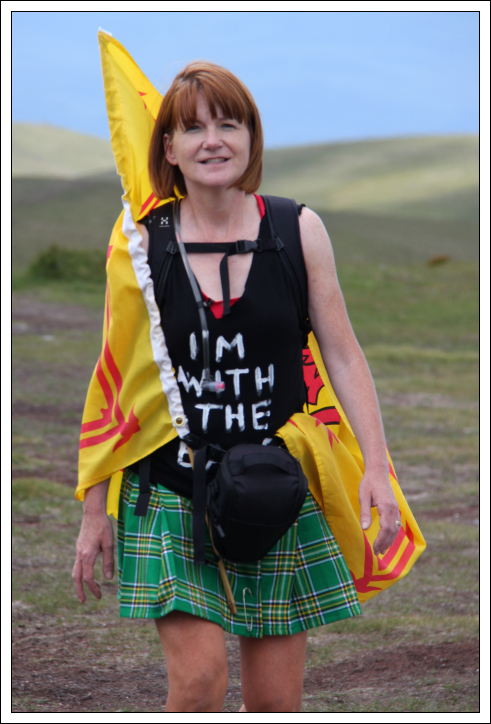 It was nice to chat with so many people during this walk. 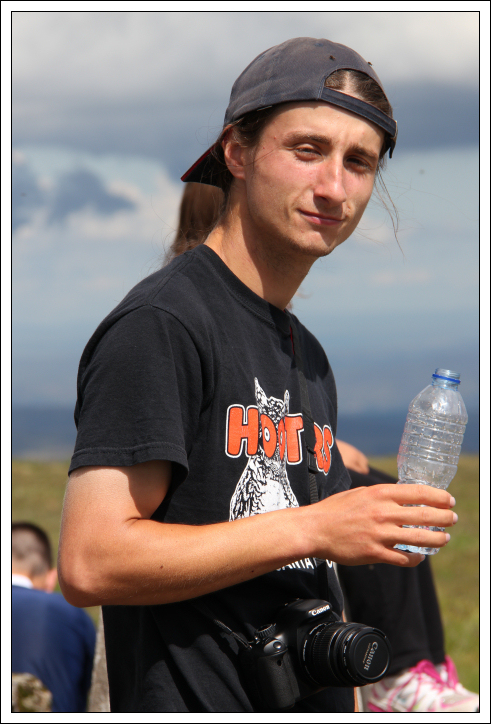 It was hot and sunny during the first couple of hours of walking. 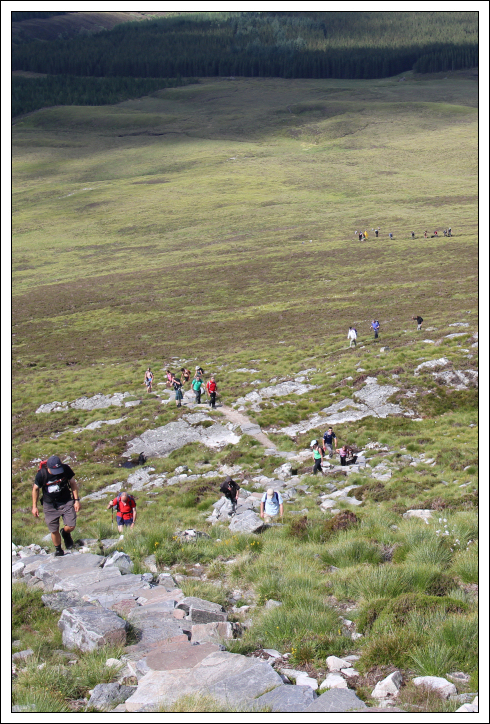 Once on steeper ground, the group started to spread out during the ascent. 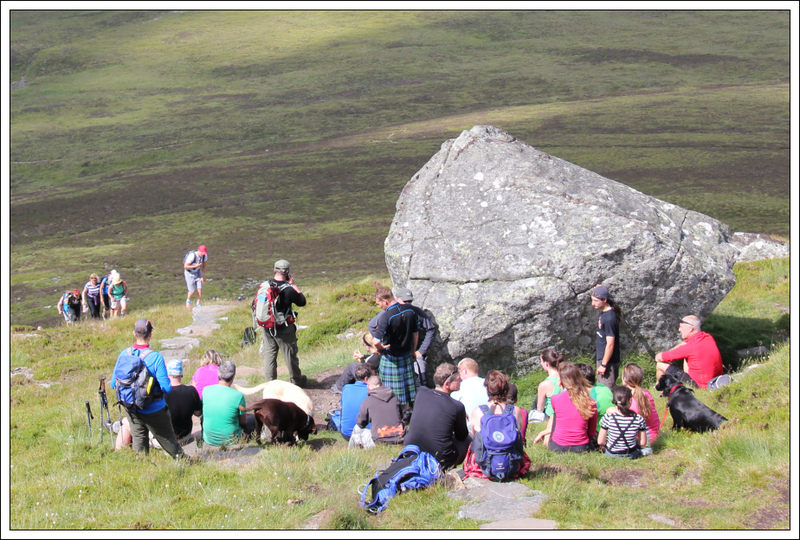 On reaching the large boulder, about half-way up An Cabar, the group stopped for a brief rest to allow everyone to catch-up. 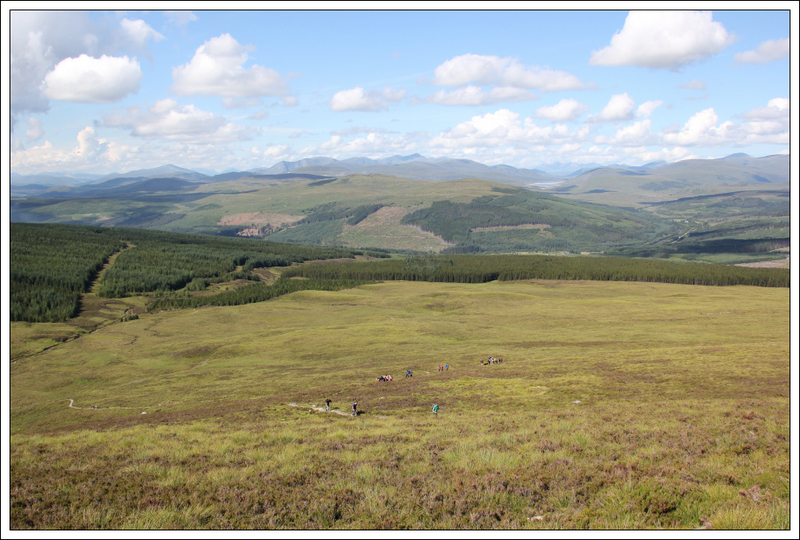 From the erractic, I set off ahead of everyone else - wondering if I would be able to ascend the two Munro Tops beyond the summit and then get back to the summit in time for everyone else arriving. 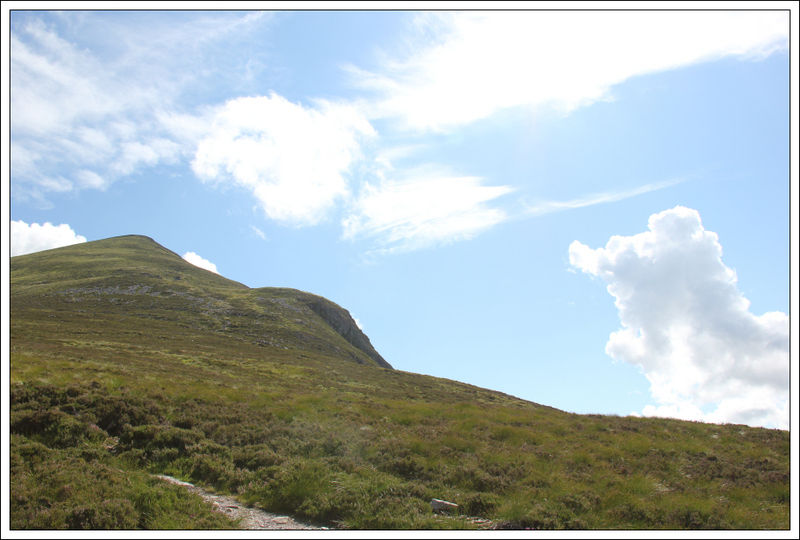 I abandoned this idea on reaching the summit as the two tops were too far away – I would never have made it back in time. 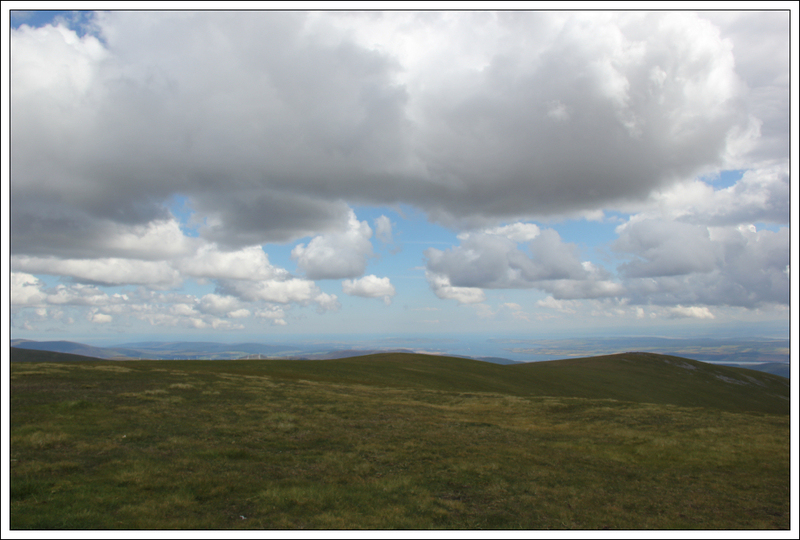 As I progressed up the hill, some cumulonnimbus clouds gave me some cause for concern. 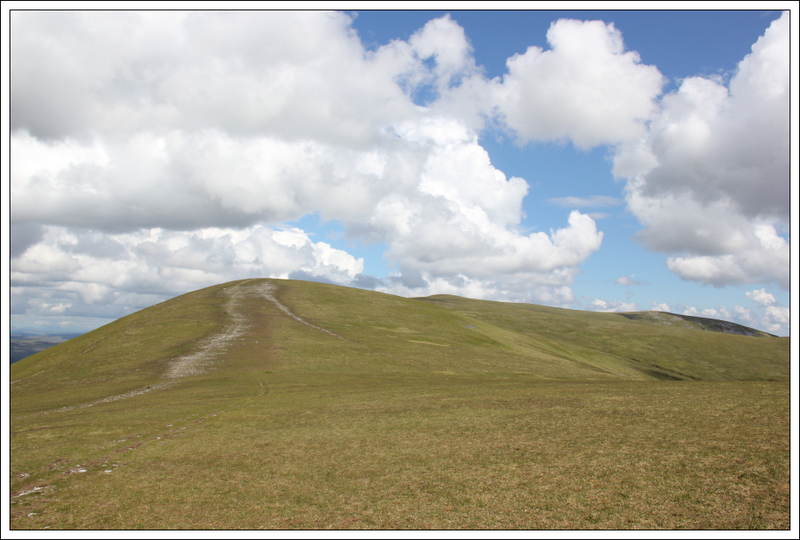 I don’t like being up hills in thunder and lightning. 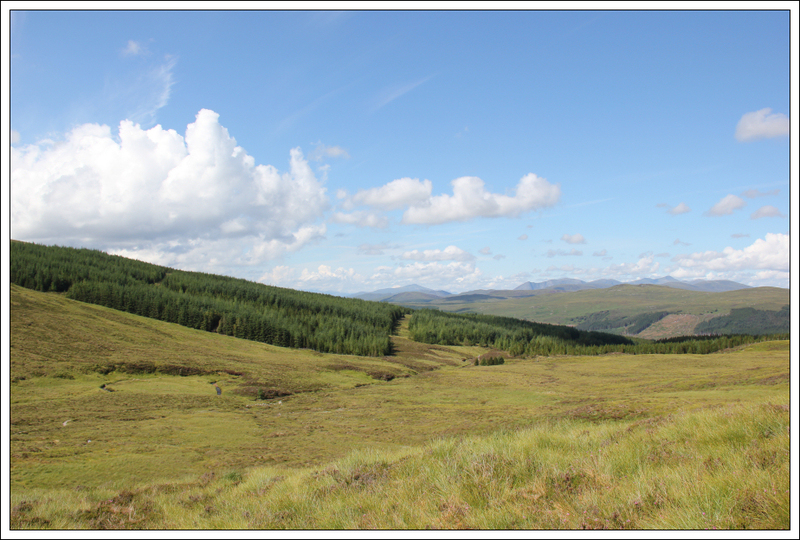 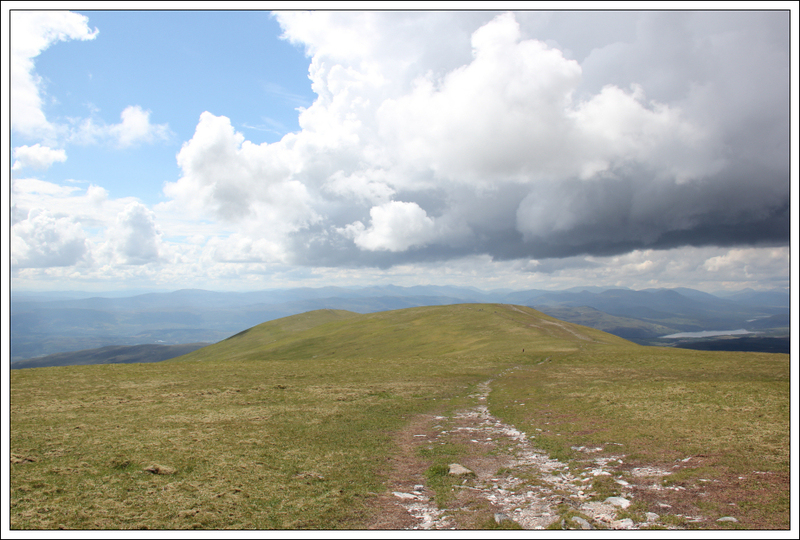 We were really fortunate with the weather as several showers passed by to the East and West of Ben Wyvis. 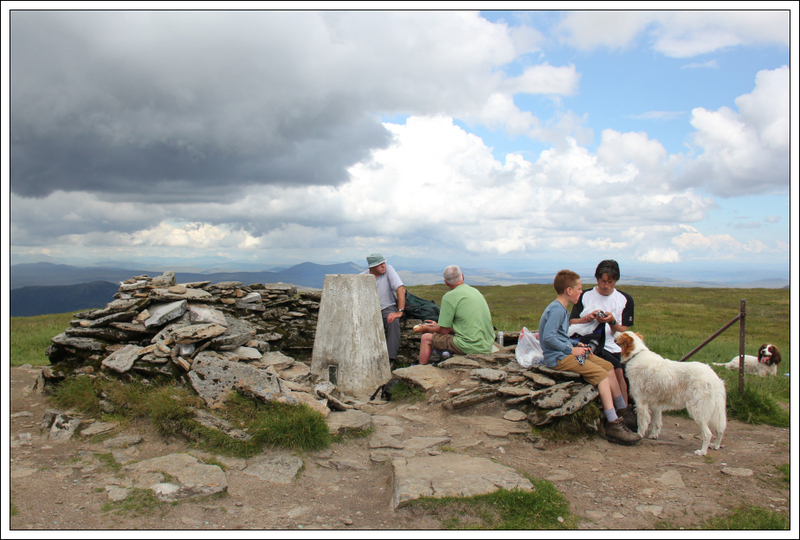 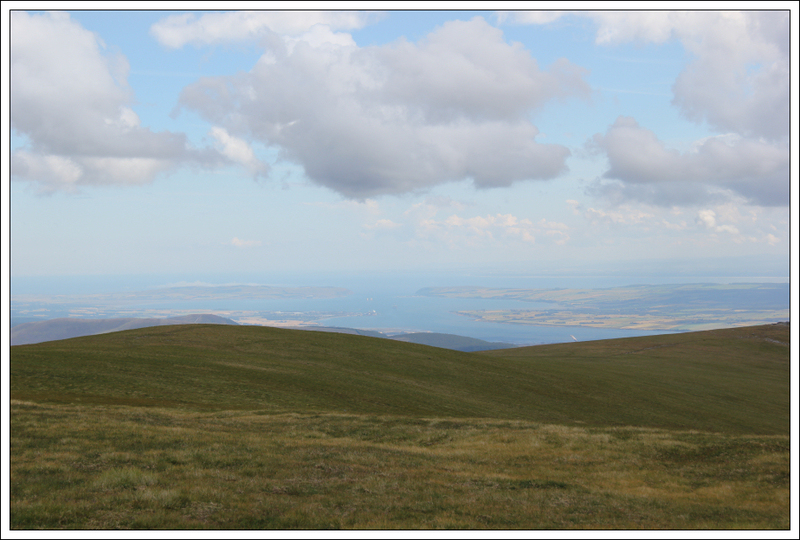 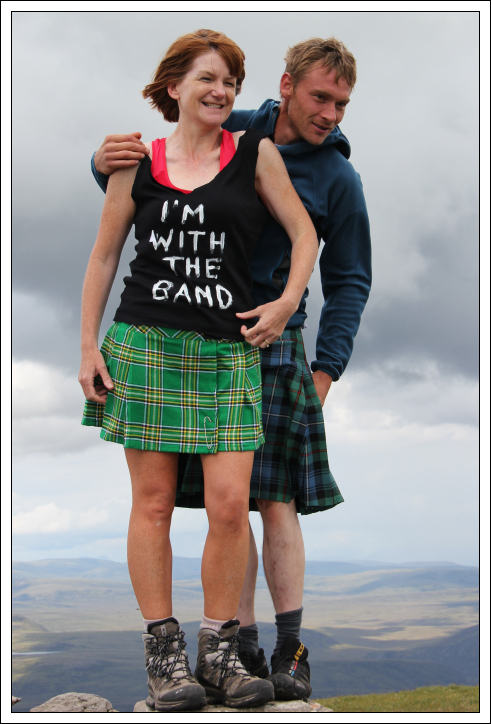 I reached the summit of Ben Wyvis fifty minutes before the rest of the group. 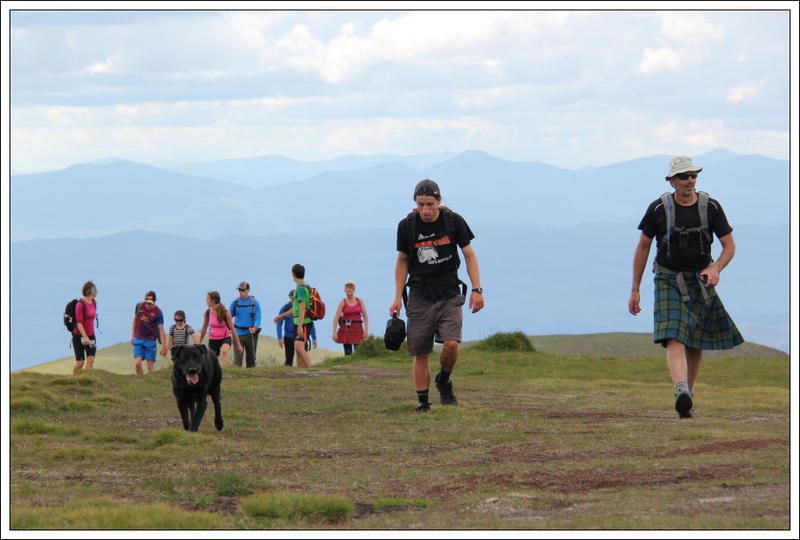 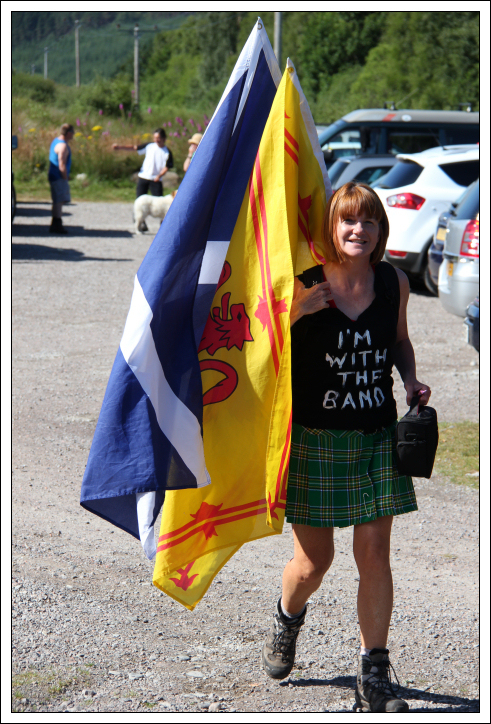 It was nice to spend over an hour at the summit taking photos and chatting with other walkers. 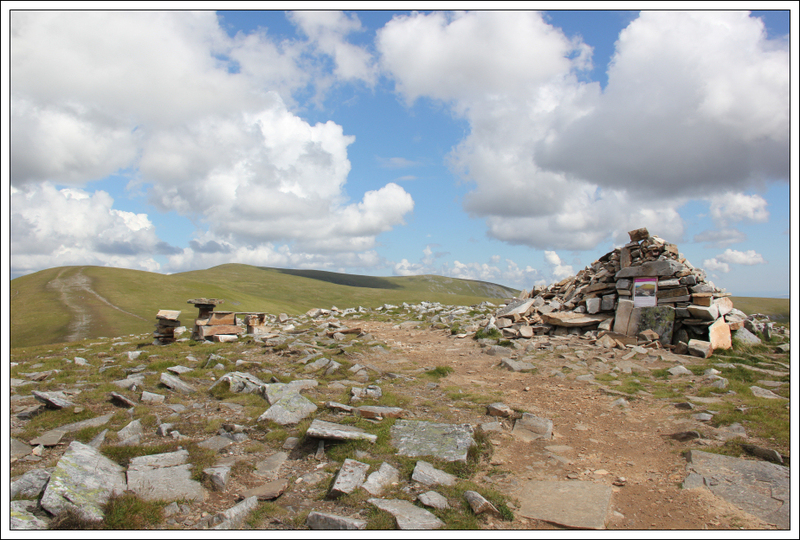 I enjoyed two Munro completion celebrations at the summit - a woman from Fife also completed on Ben Wyvis circa 30 minutes before Ron. 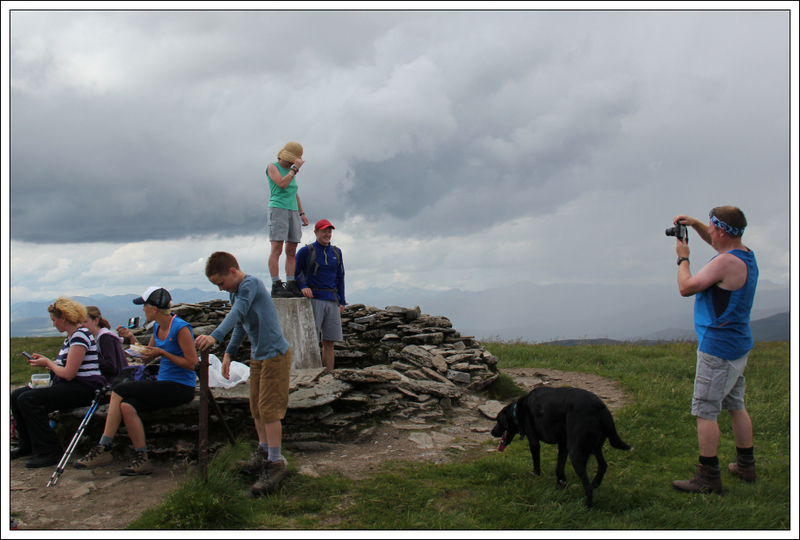 It was nice to chat with everyone again once they reached the summit. 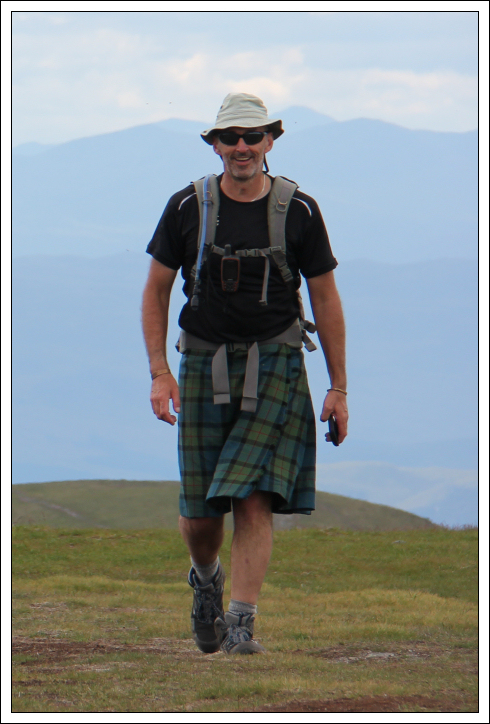 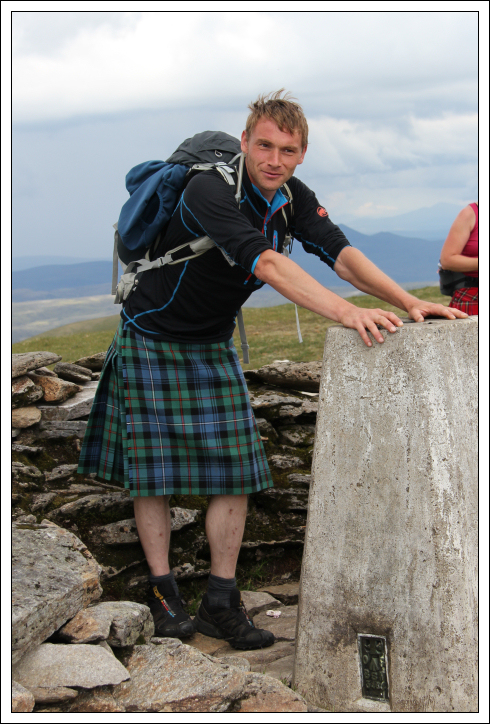 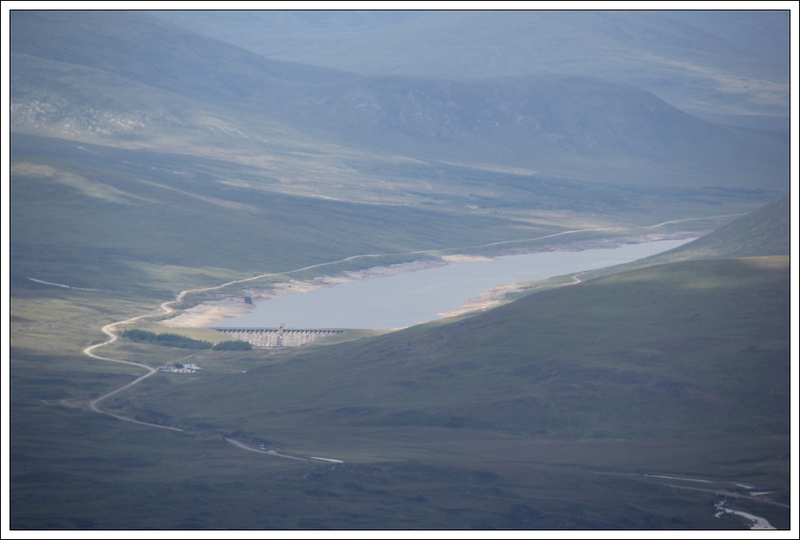 It was also nice to meet and walk with Kevin, who is currently undertaking a continuous Munro round: more info. 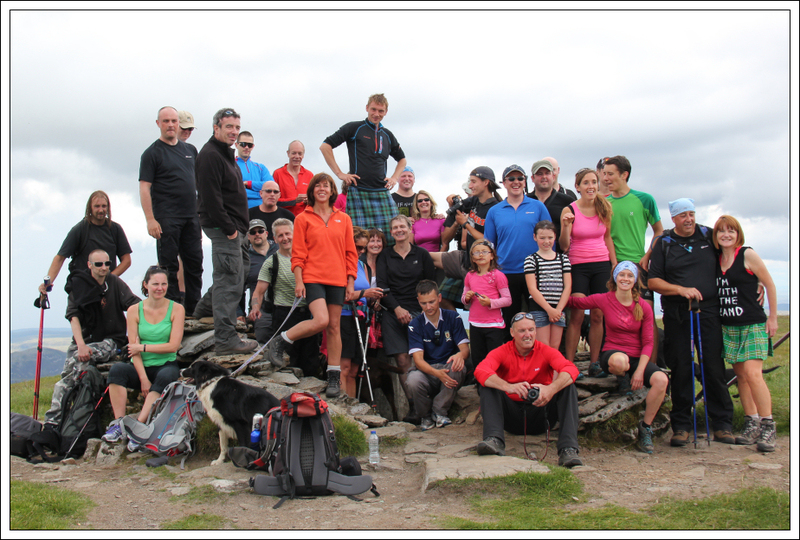 I think the photo at the summit shows how great a day this was. 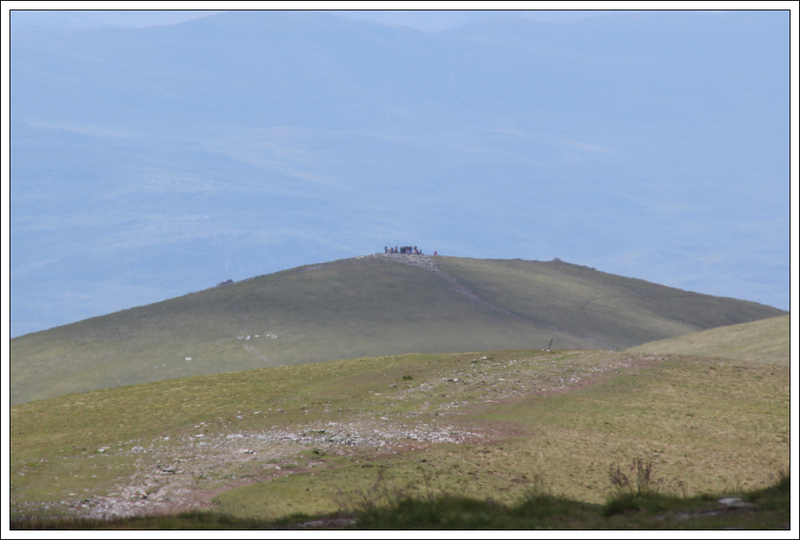 We returned to the car park via the same route. 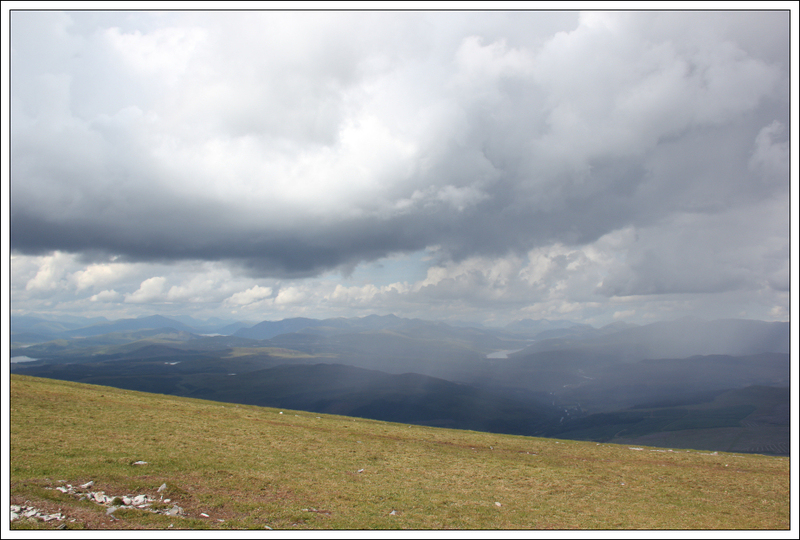 Apart from one brief shower, and a distant rumble of thunder, the weather was much better than anticipated. 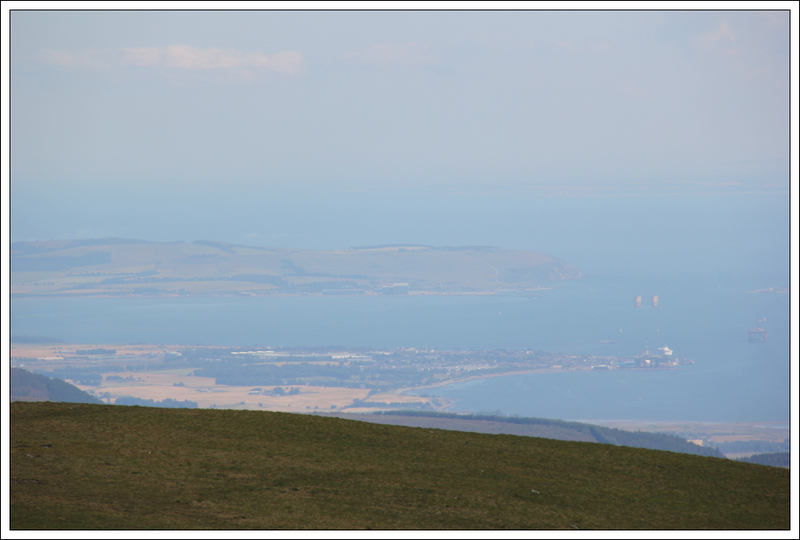 An excellent day out .